Since On Cranberry Pond was built in 1989, Jeannine LaBossiere has been using her never-ending supply of creativity, confidence and enthusiasm to make her guests feel welcome. Her son Tim works along side her, maintaining the grounds as well as taking care of the "mechanical" end of things. Jeannine enjoys meeting new people and takes pride in making their stay here an experience in comfort and hospitality. Her distinctive style creates a remarkable impression. Many guests of On Cranberry Pond have often written back to Jeannine, telling her it was the highlight of their trip. Here are a few of our "Notable & Quotables!" My husband and I have never tried a B&B before. We were very impressed with the way your place is decorated, the fine service, and warm hospitality. We could not have asked for a better first time experience. 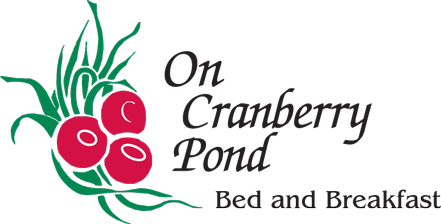 Our stay at On Cranberry Pond was one of the highlights of our trip to your part of the country. My parents remember with great fondness their visit to On Cranberry Pond. Of all the "doctor's orders" issued, it was the visit to your Inn and the friendship offered, which had the most impact on my parent's recovery. They speak of you often and with great affection. Regardless of the season of the year, you delight all of my senses when I visit.